CF-Java-Client is a library which enables programatic access to a Cloud Foundry Cloud Controller API. It is built on top of Project Reactor, an implementation of Reactive Streams specification and it is a fun exercise using this library to do something practical in a Cloud Foundry environment. Consider a sample use case - Given an application id I need to find a little more detail of this application, more details of the application along with the details of the organization and the space that it belongs to. To start with, the basis of all API operations with cf-java-client is a type unsurprisingly called the CloudFoundryClient(org.cloudfoundry.client.CloudFoundryClient), cf-java-client's github page has details on how to get hold of an instance of this type. Note that the API returns a reactor "Mono" type, this is in general the behavior of all the API calls of cf-java-client. Here I am using an "and" operator to combine the application response with another Mono that returns the space information, the result is a "Tuple2" type holding both the pieces of information - the application detail and the detail of the space that it is in. Here a "then" operation is being used to retrieve the organization detail given the id from the previous step and the result added onto the previous tuple to create a Tuple3 type holding the "Application Detail", "Space Detail" and the "Organization Detail". "then" is the equivalent of flatMap operator familiar in the Scala and ReactiveX world. 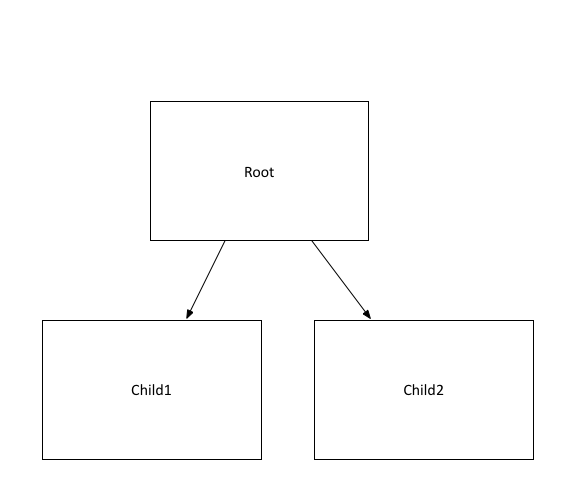 Spring Boot supports a simple way of specifying a Spring application context hierarchy. This post is simply demonstrating this feature, I am yet to find a good use of it in the projects I have worked on. Spring Cloud uses this feature for creating a bootstrap context where properties are loaded up, if required, from an external configuration server which is made available to the main application context later on. To quickly take a step back - a Spring Application Context manages the lifecycle of all the beans registered with it. 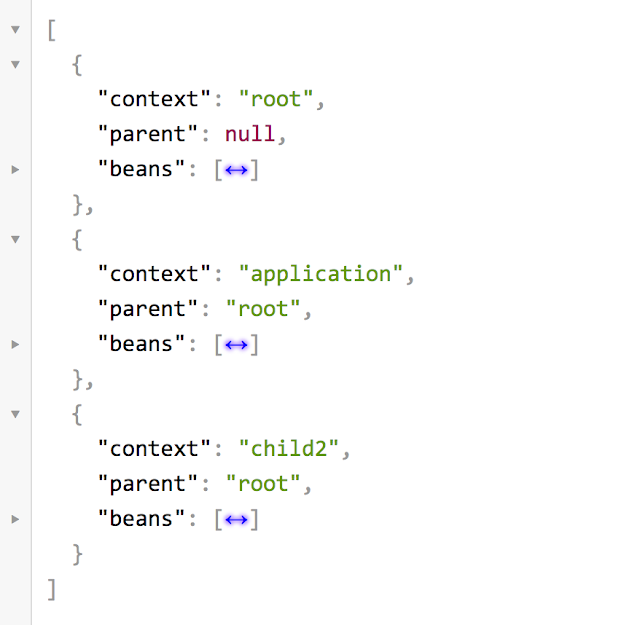 Application Context hierarchies provide a way to reuse beans, beans defined in the parent context is accessible in the child contexts. Consider a contrived use-case of using multiple application contexts and application context hierarchy - this is to provide two different ports with different set of endpoints at each of these ports. Each of the application resides in its own root package to avoid collisions when scanning for beans. Note that the bean in the child contexts depend on a bean that is expected to come from the root context. 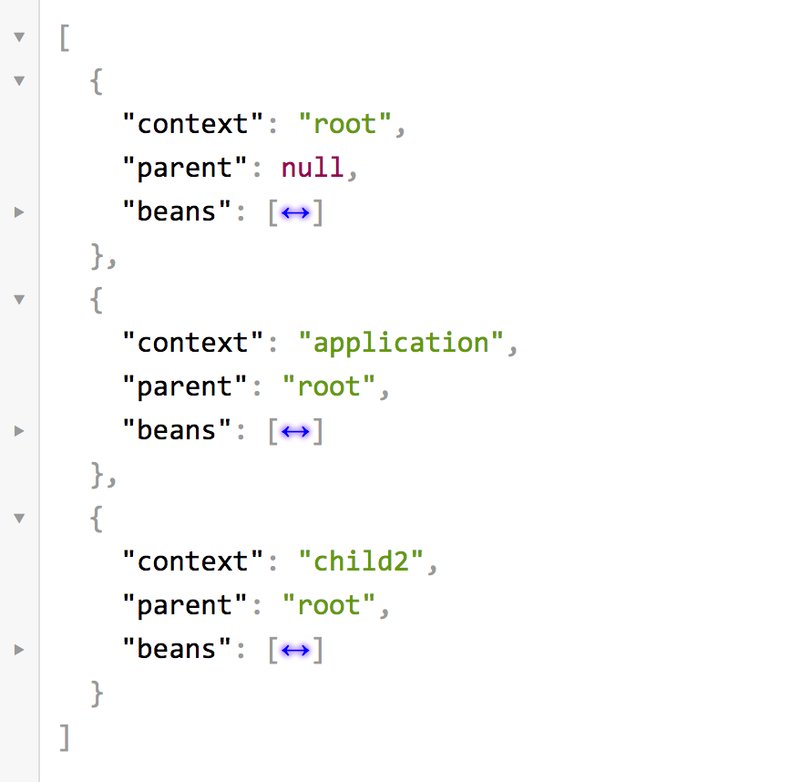 The application context returned by the SpringBootApplicationBuilder appears to be the final one in the chain, defined via ChildContext2 above. Not everything is clean though, there are errors displayed in the console related to exporting jmx endpoints, however these are informational and don't appear to affect the start-up.